Help spread the word about this tutorial! 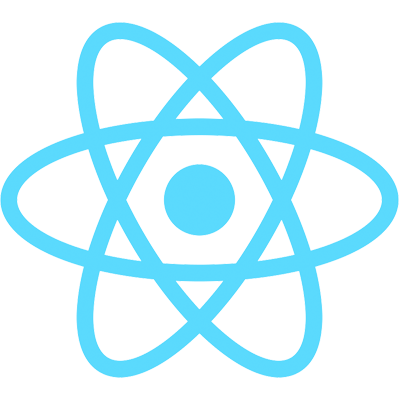 Starting new React projects used to be a huge hassle -- there were dozens of dependencies, configuration files, and other up front requirements before you could even start writing a single line of React code. Enter create-react-app, the tool recently released by Facebook's engineering team that allows you to spin up a brand new React application in just a few seconds. They do this by wrapping all of the normal dependencies (babel, etc) so you can just focus on writing React code itself. It's an excellent piece of software and is already becoming the de facto way to manage React projects. Enough talking about it though, lets get started with it! Create a new app called "example-app"
The folder example-app/ was created by create-react-app and houses all of our new application's code. Notice the lack of complex folder/file structures, build configurations, etc -- just the essential files that you need to build your app. Runs the app in development mode. Open http://localhost:3000 to view it in the browser. The page will reload if you make edits. You will see the build errors and lint warnings in the console. Runs the test watcher in an interactive mode. By default, runs tests related to files changes since the last commit. The React + Redux RealWorld codebase uses create-react-app. Simply cloning the repo and running npm install will get everything set up, and running npm start will let you run the application live. In the next tutorial, we'll integrate Redux into an app that's scaffolded by create-react-app!